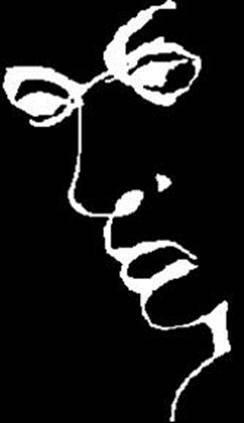 In this double meaning optical illusion you can see the outline of a face of a man drawn in white against a black background. When you look more closely the white line turns into a word which becomes more obvious and easier to read if you tilt your head slightly to the right. See if you can spot what the four letter word says.